Without a doubt ImgBurn is an awesome ISO creation too. 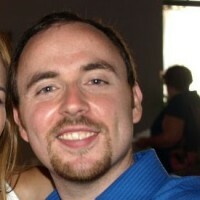 However, at some point in the past they started bundling OpenCandy with ImgBurn. OpenCandy is an adware application that many people feel falls within the definition of malware or spyware. This is obviously quite a bummer! #1 Proceed normally through the install process, but be careful and watch for screens similar to the following. The ‘OpenCandy’ portion of the installer is going to present you with some ‘Recommended by ImgBurn’ apps and you want to do everything in your awesome powers to prevent them from installing! Voila, enjoy your totally awesome non-OpenCandy ImgBurn experience, woot!!! The version I had came with slightly different “add-ons” but the concept was the same. Thanks for sharing dude! 1. 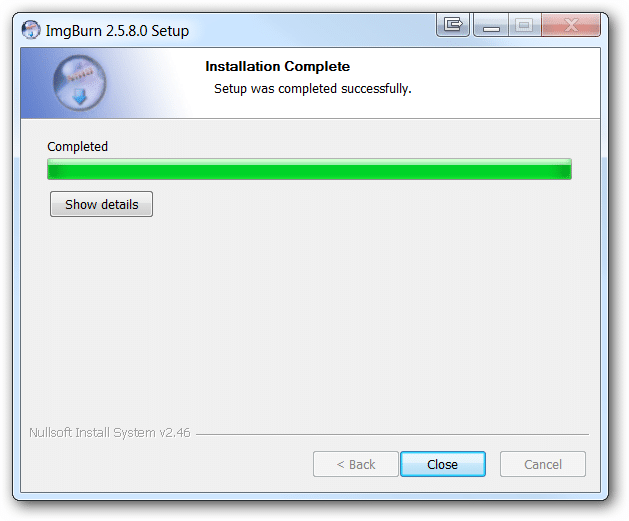 Create a shortcut of “SetupImgBurn_2.5.8.0.exe” in the same folder. 4. Click the Advanced button and check the “Run as Administrator…” box. 5. Click OK to close the windows and apply the changes. Now, whenever you want to install it, simply run the shortcut and the program will be silently installed either in “C:\Program Files” or in “C:\Program Files” (depending on whether it’s a 32-bit or 64-bit program), without OpenCandy. This actually didn’t work for me. I had the same version of imgburn, but the UI looked different. I selected Custom install, but program files was greyed out, and I had to install the whole mess. I’m just going to use what I want and then try to uninstall, I guess. I couldn’t find any other weird programs listed in installed programs – just the imgburn proggie. But my anti-virus detected opencandy in the install file. So… maybe I have adware now. :O Good thing I’m about to wipe my whole system and do a fresh OS install. Sorry to hear the steps did not work for you! Carrie is right, I’m afraid. 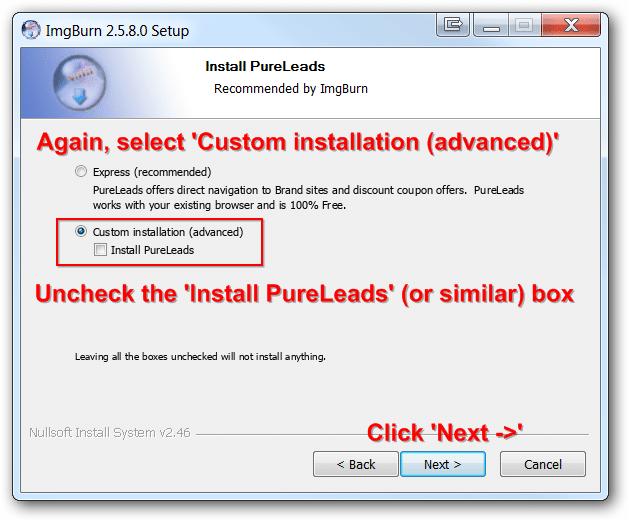 Imgburn has officially become a non-option as there’s no way to opt-out of the malware now. Even choosing custom install on the latest version only gives you checkboxes for main program files, icons and shortcuts, install for all users, enable SPTI access and reset settings. Main program files is not expandable and is grayed out and cannot be selected. You also have to agree to the Open Candy EULA (a EULA for malware.. if I don’t agree to it, do I lose my right to be spied on by them?) right up front along with the ImgBurn EULA. It’s such a shame to see all these reliable staple programs that I’ve used for years become malware infected. I guess it’s time to find a clean replacement. The last I checked, there was still an option to opt out of the malware they just made the option ‘grey’. You can still click it though! FYI, it is greyed out but you are still able to select it… Tricky and a little deceitful if you ask me…. Here’s another way to install it while avoiding the malware: turn your internet connection off, install, then reconnect after the installation finishes. If your computer isn’t connected to the internet, then those malware prompts won’t show up at all. I ran a scan after the installation and it didn’t find any malware! I followed what Peter recommended and disconnected from internet while installing. I did not get the malware prompts. But how can I be sure they weren’t installed without asking? Is there a way to check if OpenCandy has been installed without installing any additional malware/virus scan S/W? Please let me know if you have any other questions and have a great week! Search Protect is malware, no question about it. Its hard to get rid of also. Just google Search Protect. 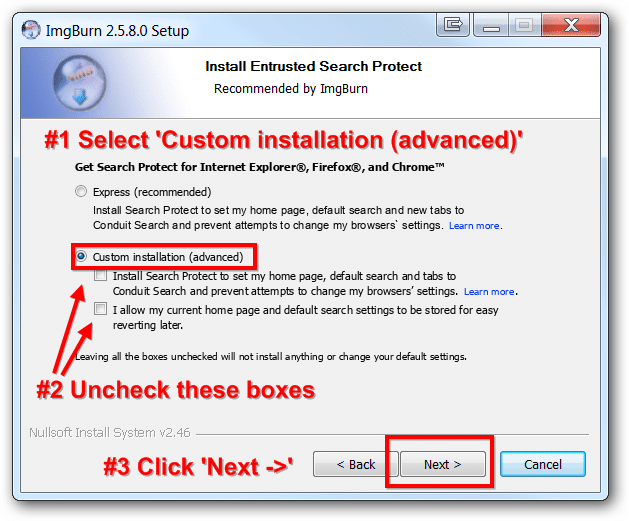 Although the description says that it “saves your preferred browser’s homepage”, during installation, Search Protect changes your home page to their preferred one (Conduit) and removing yours. Once installed, a blue icon with a white magnifying glass always seats in your system tray, because its service starts running when you load your PC, taking away your performance speed. To protect your homepage settings in the future, download Web Companion. Thank you for your comment and the warning about Search Protect. Method 3) Disconnect your internet connection before running the installer. I recommend a combination of method 3 combined with either 1 or 2. Thanks again for the great additional tips Robert!